Google launched a directory for iGoogle themes. If you are a iGoogle user you can pimp your homepage with new themes, but there are not many at the moment. As of now there are only 18 themes available, but this number may increase in the next few weeks if not days. 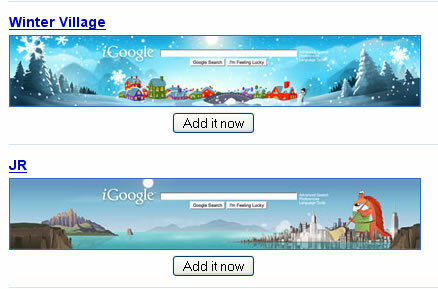 Google also announced an API for customizing the themes, using the API developers can create iGoogle themes. Good move by google. One thing which was missing in all google products are the web 2.0 looks.